Hi everyone. I wanted to get a few more thrift finds up. Sorry, no home runs in this post. The hunting has been on the slow side, and there have been days when I feel like I'm really struggling to find the appropriate things to sell. I'm still uncertain on the ROI for hitting up more thrift stores per week - but I've only been trying this the past two months. Happy Lunar New Year, by the way. We had a big dinner at my inlaws house (which is our old house) to celebrate. This first find is probably to keep... it came from the same place I found the Cathrineholm bowl earlier. Haven't a clue who made it, but it appears to be older. 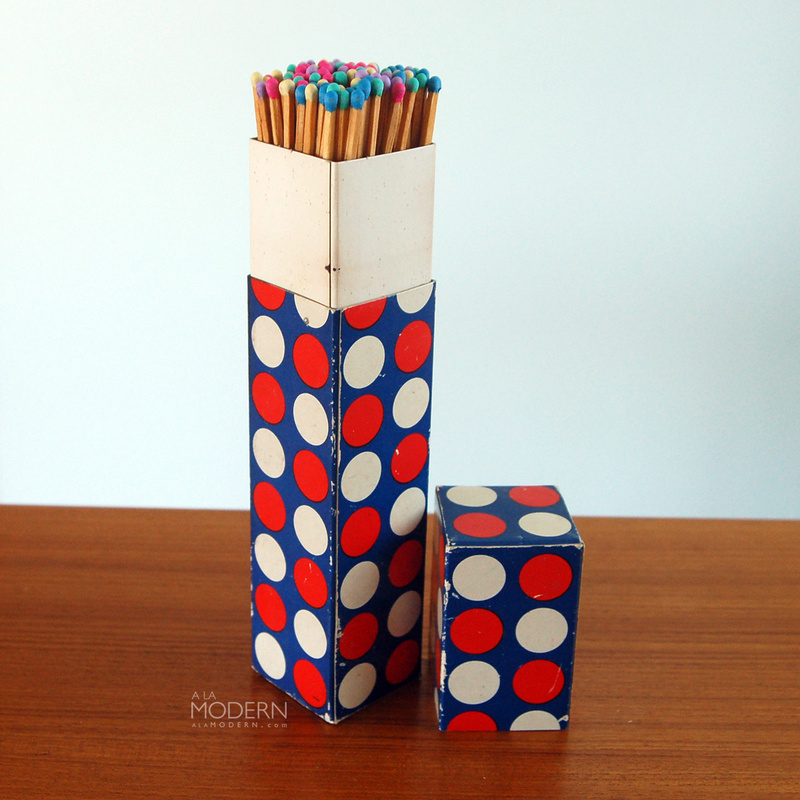 The striking surface for these matches is on the bottom of the container. Kind of handy to have these longer matches. 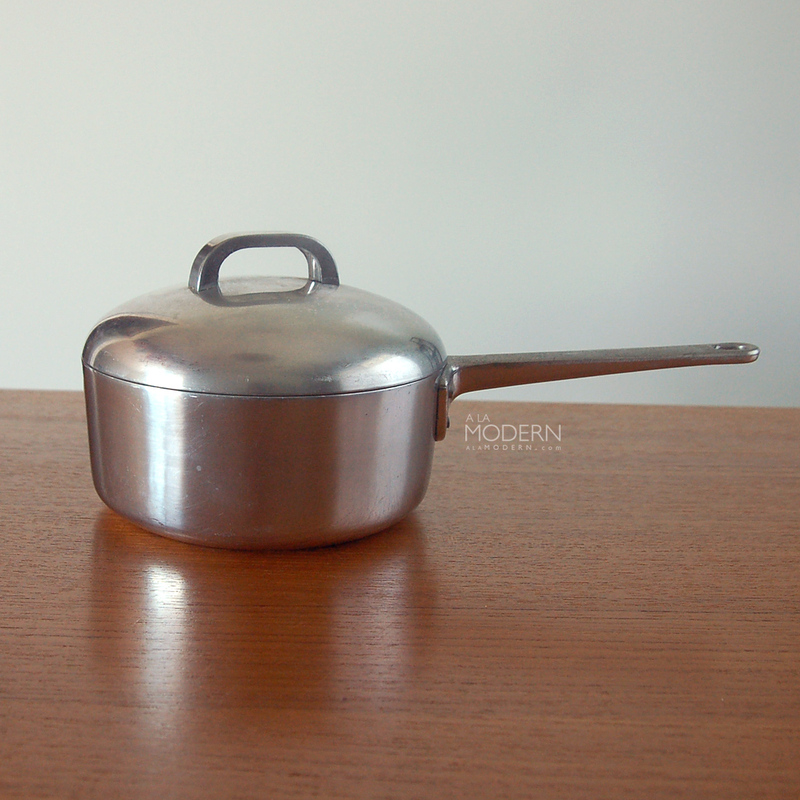 I thought this was an interesting looking aluminum pot. I like how it's really streamlined. They actually had a whole set of them in great condition at the thrift, but I only got this smaller pot. It's marked "Forever" on the bottom, but I'm not sure who might've made it. Seems like an older one. I've been taking a closer look at fabric nowadays. Tablecloths, napkins, scarves, etc. are all things I might've missed or passed on earlier. 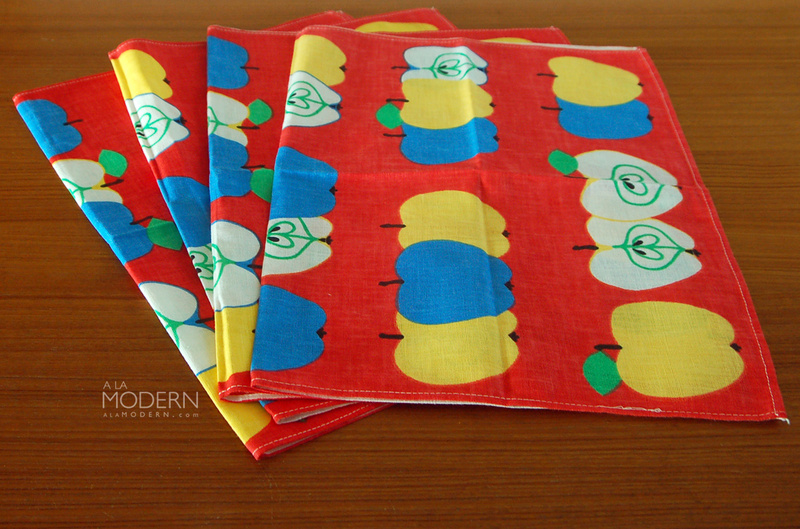 I thought these apple print tea towels from Royal Terry of California were nice. 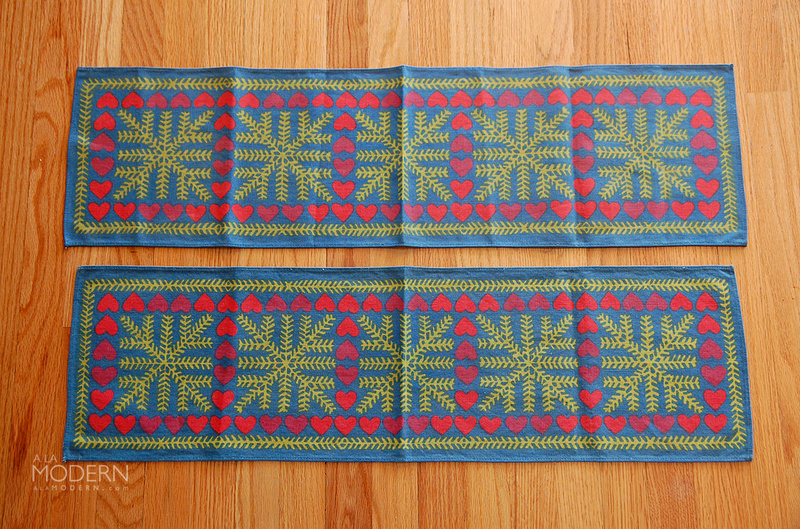 These heart table runners or doilies were found at the same thrift store. I don't know whether they're Swedish, Austrian, Dutch, or something else since they're not marked. Good old Taylor and Ng. 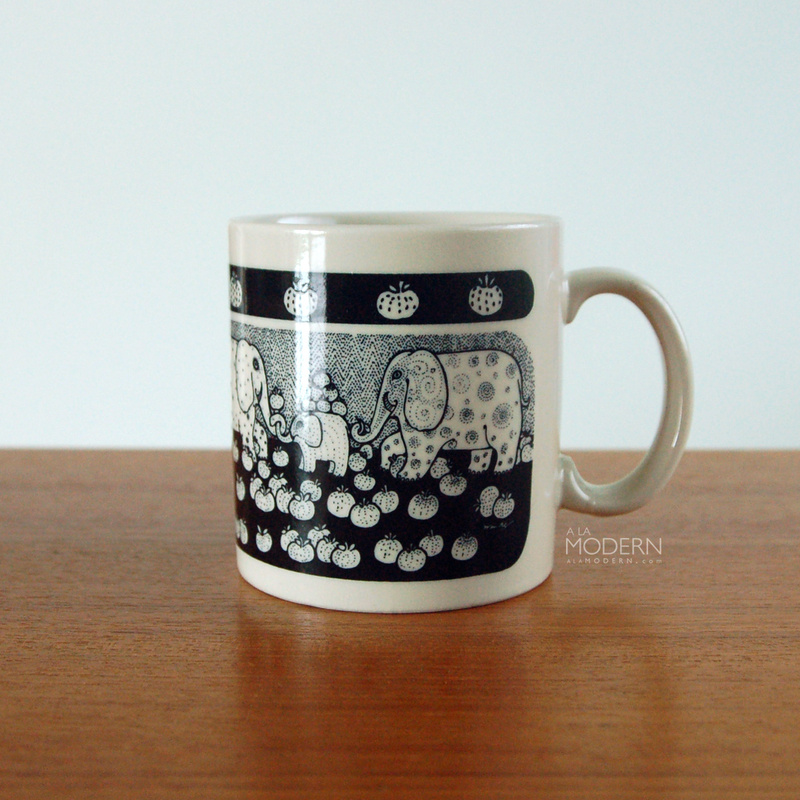 We've sold this elephant mug before. Taylor and Ng isn't the hottest seller, but it does decently for us in the shops - steady but slow. 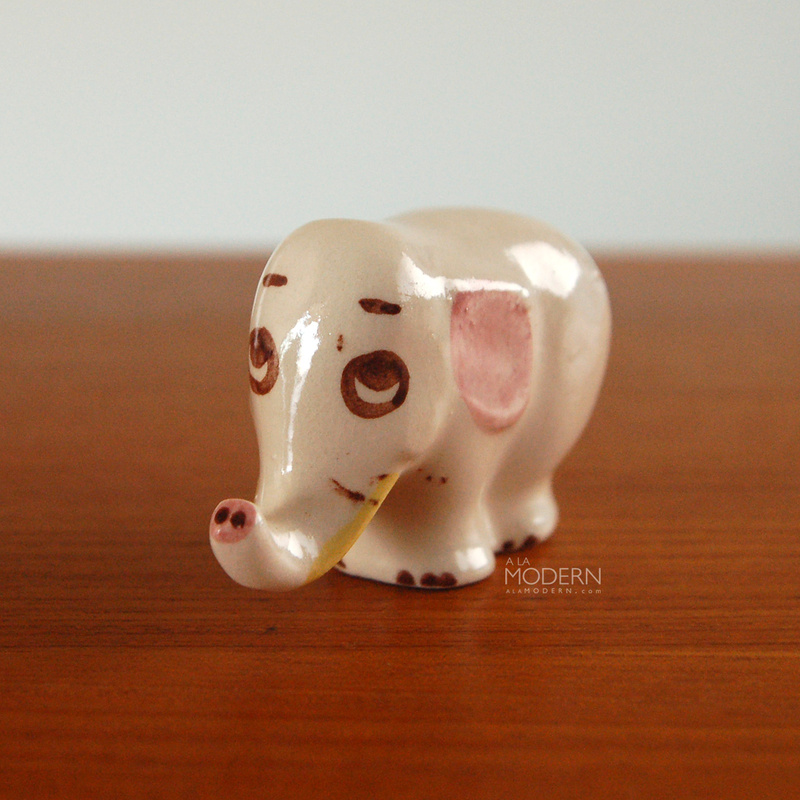 I think this is a handpainted Rio Hondo elephant. It seems to match up pretty closely in the California pottery book, but I know quite a few U.S. and overseas companies made them in the 50s-70s. I'd previously passed on some of these Blenko half moon bookends at a thrift. I knew what they were, but at the time I was thinking they were so heavy (10 pounds) that they would be tough to ship. Increasingly (especially with USPS price increases), the weight and size of items is a big factor on whether I pick them up. I decided to grab the Blenko anyhow because the day had been slow - and I'm glad I did because they sold quickly! 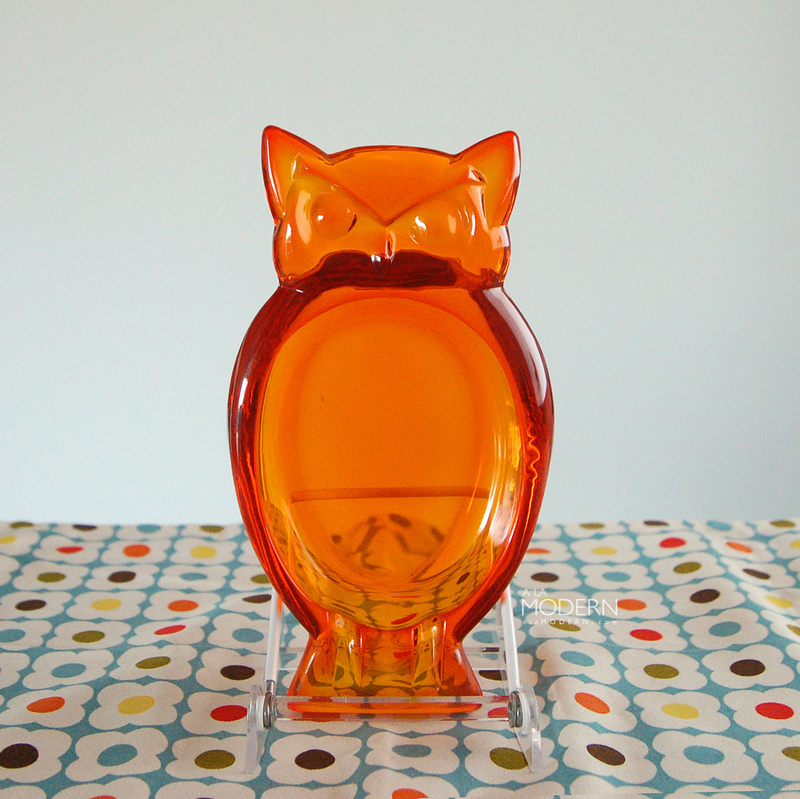 Last up is this great looking orange Viking Glass owl dish. Yes, hoot-hoot.. it's an ashtray. But I broke our "no ashtrays rule" because it's not extremely obvious and could be used as a normal dish. At one of the newer thrifts, came across another Kyes of Pasadena tray. We've passed them up quite a bit in past because they're usually damaged, but they seem to have a slight following so I've been keeping an eye out for them. 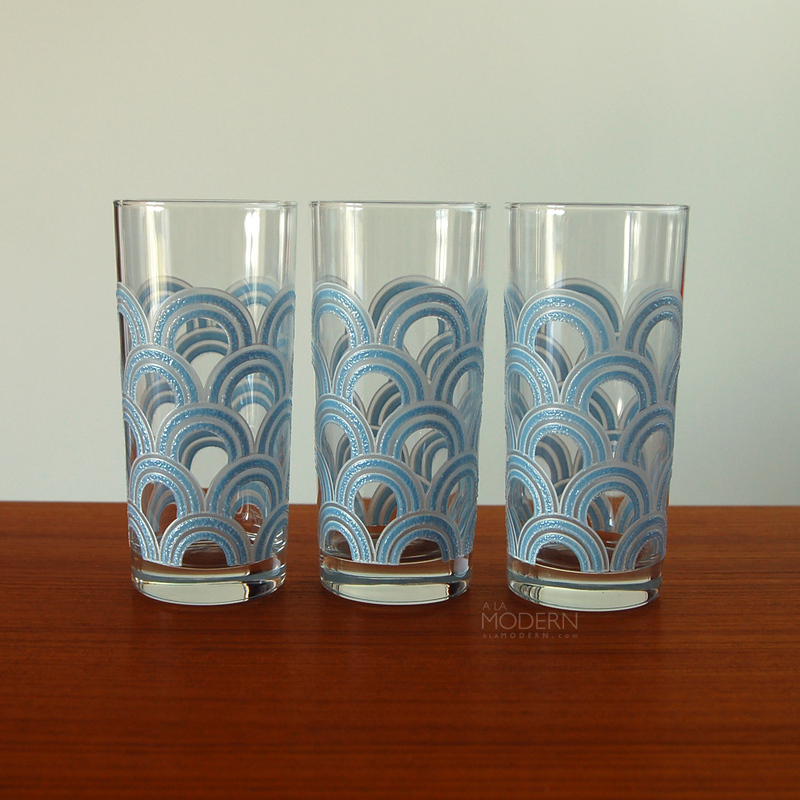 Interesting Fiesta glasses - these reminded me of some of the Georges Briard patterns on cookware, and also the Pyrex "Arches" pattern. I'm not too familiar with Mastad of Norway. 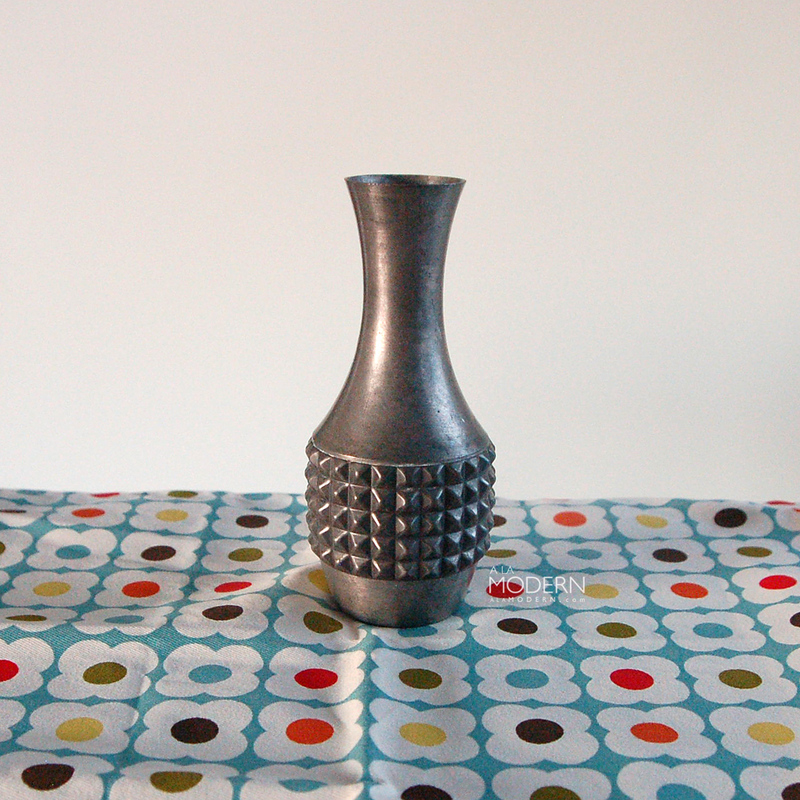 Have seen these pewter items around a few times but this was the first time we picked one up. 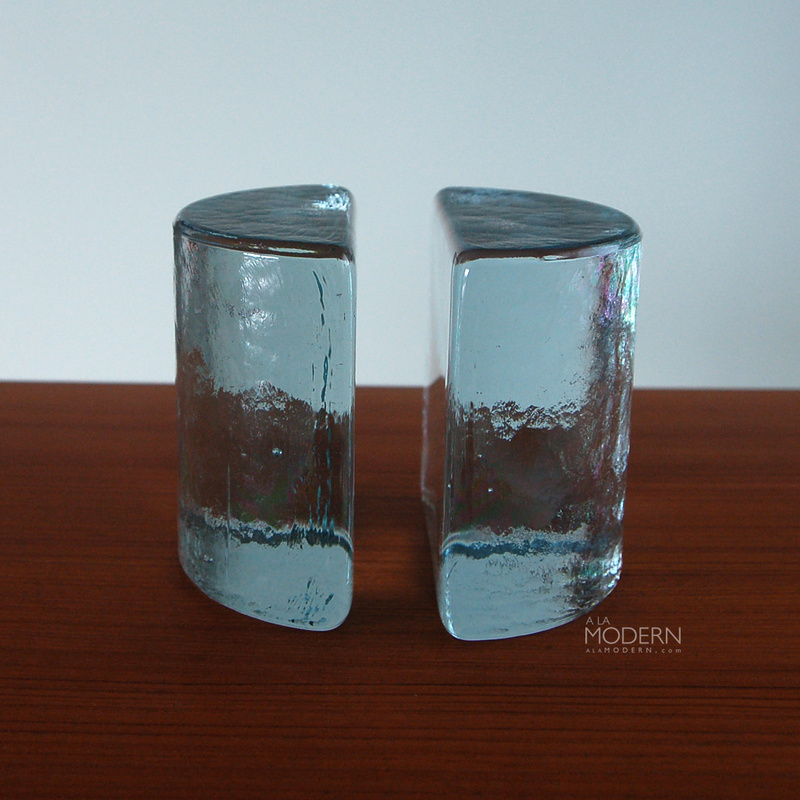 It was at the end of a long thriftbreak with not much found so I was just happy to find anything slightly interesting. We still find Taylor and Ng mugs every so often, but this is only the second recipe box we've found. The other one had the graphic printed right on the box, while this one has an attached ceramic tile. 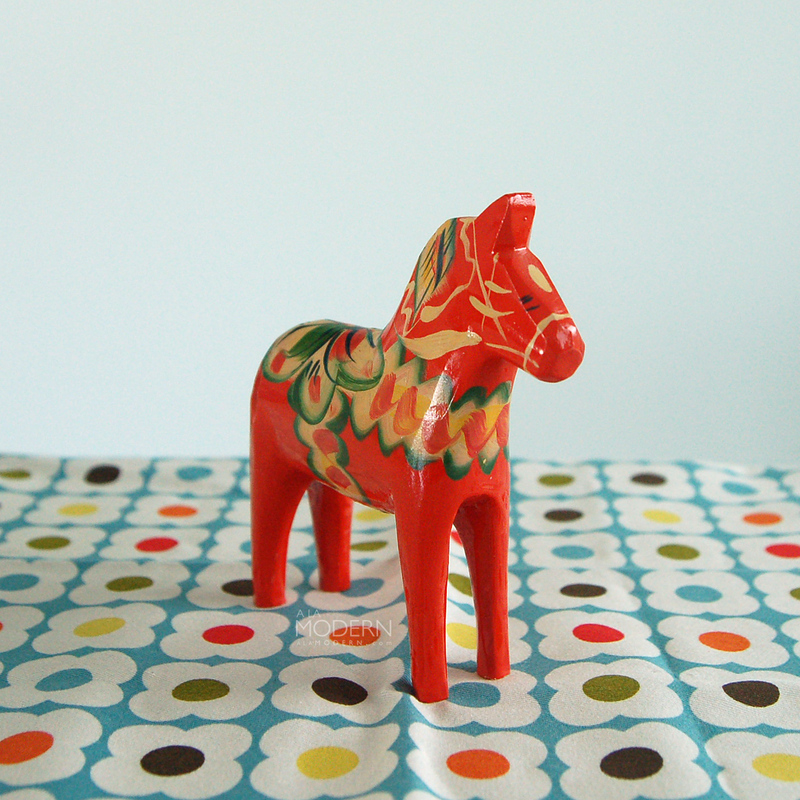 Been on a dry spell for Dala horses - when they turn up we usually grab them if they're cheap. It's very mixed results as far as selling them goes, but I still can't help myself. 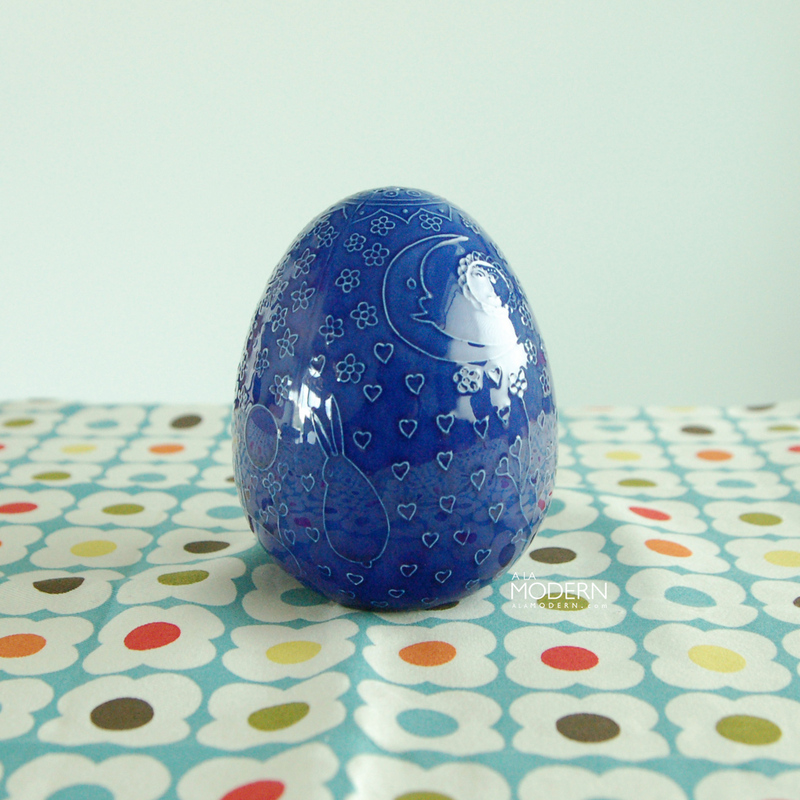 I found this really cool Environmental Ceramics egg shaker at an estate sale off the beaten path. 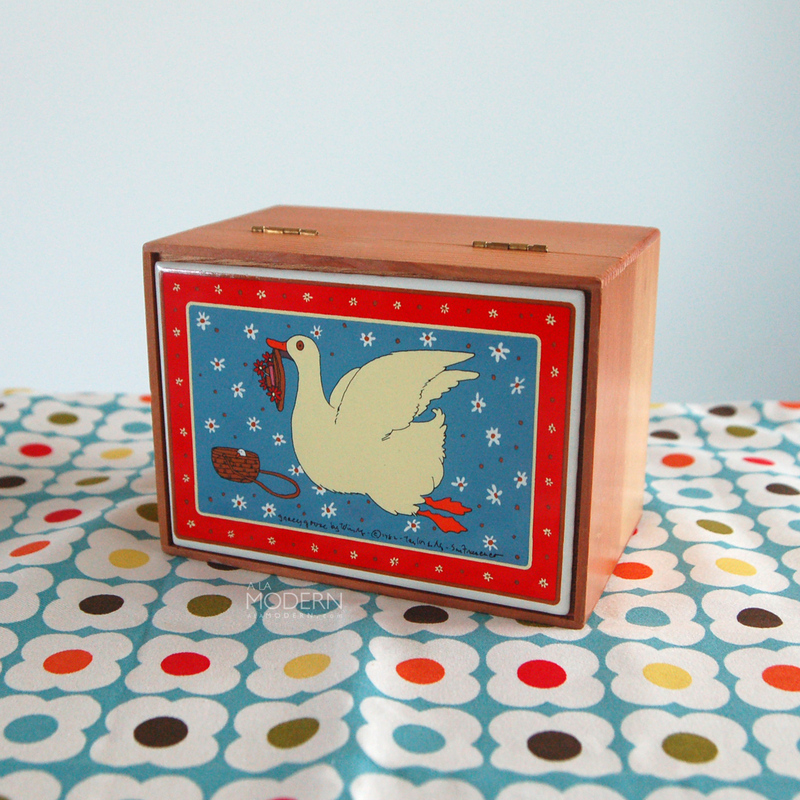 This one was a true thriftbreak find - I only knew about it because a fellow thriftbreak (Jessyca at Luola) had talked about it earlier. Not only that, but it ended up going to another thriftbreaker (Charlie over at Minor Thread ). 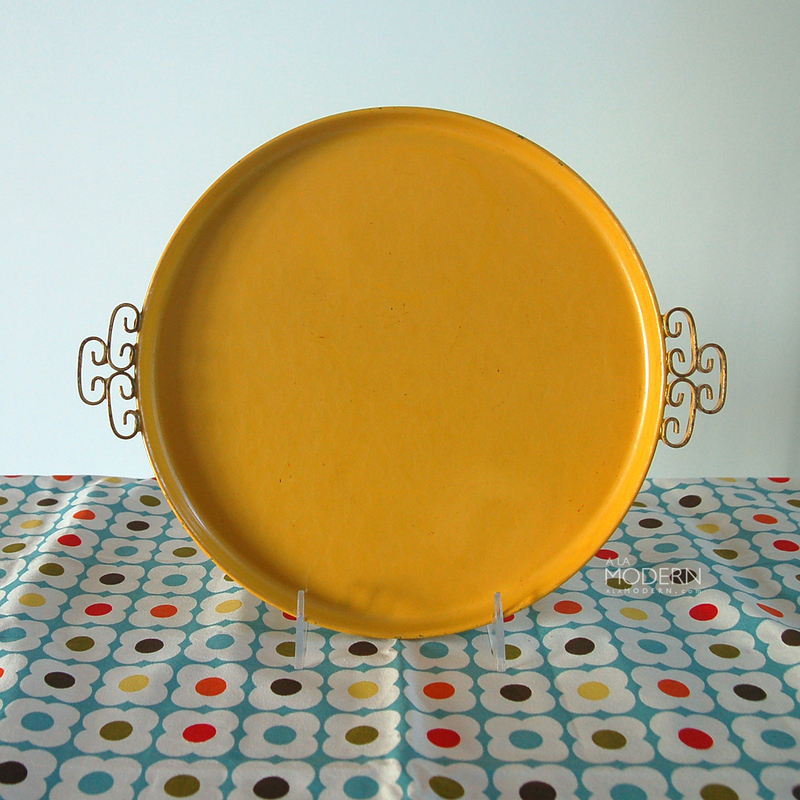 Yay for thriftbreak! 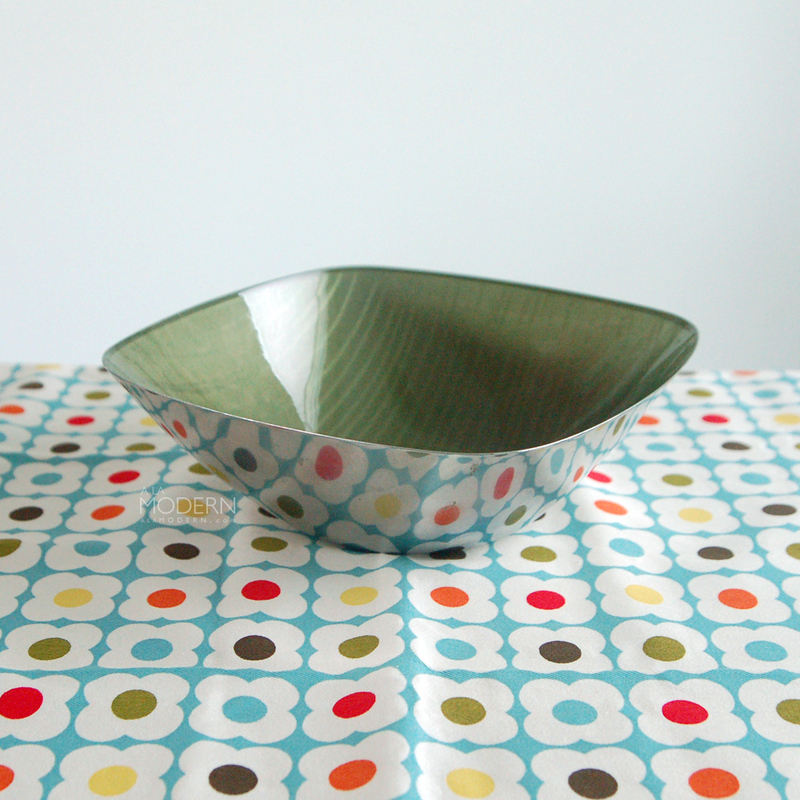 Lastly, I came across this nice Cathrineholm bowl in the Strek pattern from the Cathedral series. While it's not the more collectible Lotus pattern, finding any Cathrineholm is cause for celebration since it's so tough to come across nowadays.